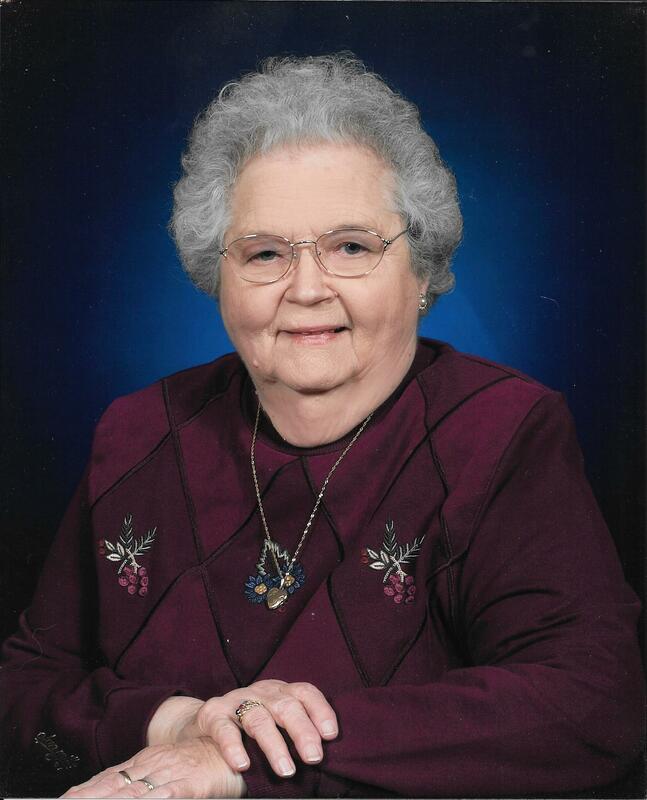 Cameron, MO……Beatrice Violet Rhodes, age 90, formerly of Maysville, was born October 12, 1926, in rural DeKalb County near Fariport, Missouri, and passed away at Cameron, Missouri on November 11, 2016. She was the daughter of William Henry Leo and Wilma Ellen (Maltsberger) Newby. Upon Bea’s graduation in 1945 from the Maysville High School she worked for Dr. Reynolds in Maysville. On August 17, 1947, Bea married Clyde Eugene Rhodes. After their marriage they moved to Columbia, Missouri. Gene attended the University of Missouri and Bea worked at the University Hospital until he graduated. They then moved to Polo, and while living at Polo, three children were born to this union. Gene and Bea also lived in the communities of Stet, Monett, Chilhowee, and Maysville. Gene preceded her in death on November 24, 2006. Throughout Gene’s long teaching career Bea was his secretary, book keeper, constant encourager and a true helpmate. She was also, a great mom and homemaker. In addition to her many duties and responsibilities she managed to find time to be a childcare provider, a nursing employee at the Carrollton Hospital and while living in Monett worked at Walmart. Bea was a member of the Maysville First Baptist Church and member of the DeKalb County Historical Society. Survivors include son, Alan E. Rhodes of Lee’s Summit,MO; daughters, M. Denice (Jim) Kilmer, Chilhowee, MO and Deana Rhodes, Gladstone, MO; granddaughter, Jamiie Kilmer, Warrensburg, MO; step-grandchildren, Lucinda (David) Harris and J. Andrew (Kristin) Kilmer; step great grandchildren; Lanelle Cole, Liberty Cole, Aiden Harris, Kate Kilmer, Drew Kilmer; sister, Sharon (Charles) Martin; brother, Russell (Hazel) Newby; brother-in-law, Danny (Louise) Rhodes; nephews; nieces; cousins; special friends and Bea’s church family. Geneva and my prayers have been with you since we heard of Bea’s condition and certainly now of her death. Know of our continued prayers and support. She is home with Jesus and Gene now. In that we can celebrate and rejoice in a life well lived for Jesus. She always had such a sweet spirit and every time we had the opportunity to visit with her our spirits were lifted. God’s blessings as you “walk through the valley of the shadow of death”.